Except where stated to the contrary, the material on this site is © 2008, 2009, 2010, 2011, 2012, 2013, 2014, 2015, 2016, 2017 The Society of High Constables of Edinburgh - all rights reserved. 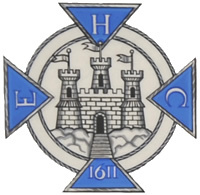 Material on this site may be downloaded or printed for private use by members of The Society of High Constables of Edinburgh or its kindred organisations worldwide, provided that the details of the source are always retained. In other cases, please contact The Society of High Constables of Edinburgh at the address given below for approval of a proposed use. This will normally be granted for non-commercial uses which are compatible with the Object of The Society of High Constables of Edinburgh. to infringe on the copyright of any person. If you feel that any part of the website breaches these rules, please contact at first instance the Administrator at the address provided here.